Tablerunner Kit of the Month by Riley Blake begins in April. 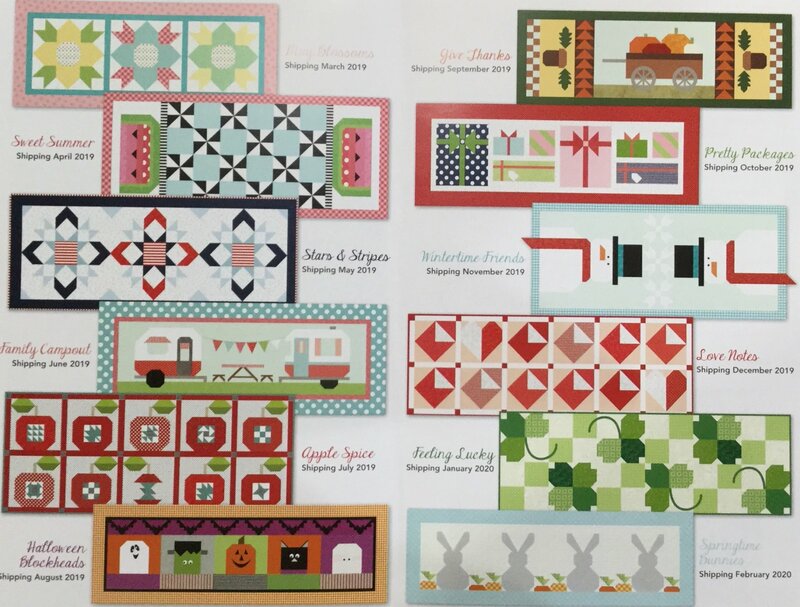 Exclusive monthly kits are made by Riley Blake and come in keepsake boxes. Kits include fabric for top, binding and pattern. We will meet each month to discuss your kit and tips/tricks will be shared before you take home your kit. You will need to sign up for each months kit individually. 12 seasonal kits are being made. You do not need to attend to receive your kits, just sign up each month. Tuesday 6 - 7 pm: April 9, May 7, June 4, July 2, August 6, September 3, October 1, November 5, December 3 and Jan-March will be posted later.